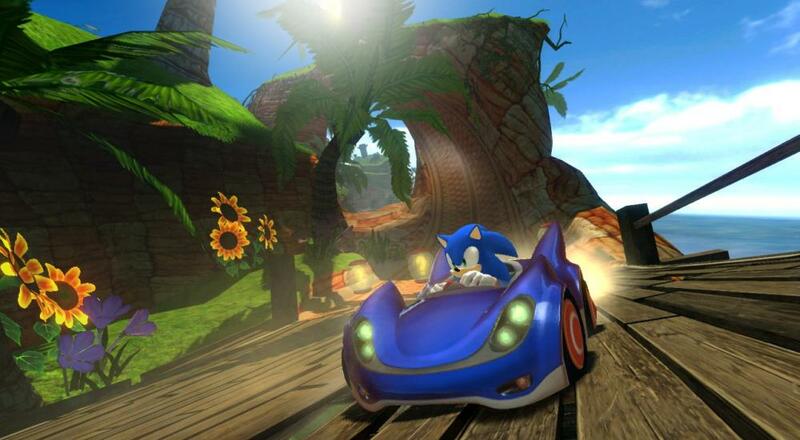 Team Sonic Racing, Sumo Digital's third take on the blue hedgehog's racing series, was announced just a few weeks ago, prior to E3. It's set for release sometime in the fourth quarter of this year, and folks got their first hands-on experience with the game at E3 itself. While TSR's full roster will offer fifteen characters from the Sonic universe upon release, the E3 demo only contained six: Sonic, Shadow, Tails, Knuckles, Rouge, and Omega. Thanks to a recent tweet from the speedster himself, though, we now know Amy Rose, Big the Cat, and a quartet of Chao characters make up three of the roster's nine remaining slots. Put together, the trio form the aptly named Team Rose. Interestingly, the previous iteration of this team contained Cream the Rabbit, who has presumably been ousted by the adorable Chao. It's unclear if Cream will be tossed into one of the remaining two teams, or if her time on the race track is over. We'll probably find out sometime between now and the game's release, though. As its name implies, Team Sonic Racing focuses on cooperative play, which we just love to hear around these parts. The game will offer local multiplayer for up to four players, but based on the size of the aforementioned teams, the co-op itself may be limited to just three. We'll clarify that as soon as information becomes available. Page created in 1.6467 seconds.